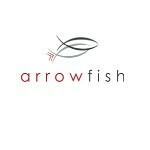 Whether you are a busy attorney in San Diego needing a damages expert to meet a tight deadline, a business owner in Washington D.C. seeking a business valuation, or a start-up company in Denver looking for an experienced management consultant, Arrowfish Consulting is the place to turn. We will provide you with the highest level of professional service at affordable rates that will meet your specific needs. Join Today to follow and contact Joseph Aiden.